There is no better way to connect with the bush than by making camp and falling asleep under the African Stars. A camping safari is a truly immerse African experience that brings the wilds of Africa all the way to your door step. There is no surround-sound quite like the African bush under an endless star-studded sky. Most of the Budget Camping Safaris are conducted with the use of walk in two man dome tents. A camping safari in the bush of Tanzania is the quintessential private African safari experience. Just a piece of cloth between you and the African night. A quire of nocturnal birds, insects and distant roaring lions lullabies you to sleep. After breakfast around 8am with your packed lunch start again driving to this Maasai plain land the home of Big five doing you game drive towards Mara River where migrations crossing taking place where you can take all your time watching this 7 wonders of the world till you be satisfied as in the evening drive back in the Camp for dinner and overnight. Pre-morning 6:30am game drive up to around 0930hrs. Afterwards depart for Lake Naivasha arriving in time for lunch. An afternoon boat ride to the crescent Island. Dinner and overnight at the hotel. After breakfast depart for Lake Nakuru National park which hosts the largest concentration of Flamingoes which canopy the edge of this alkaline Rift Valley Lake. The park also hosts Lions, Leopard, Giraffe, and Warthog etc. There is a Rhino sanctuary and thus Rhino sightings are very high. Dinner and overnight at a hotel. After breakfast depart for Amboseli via Nairobi for lunch arriving in the evening if time permits evening game drive. Some of the species of Amboseli includes Elephants, Lions, Cheetah, Giraffe among many other plain game animals. 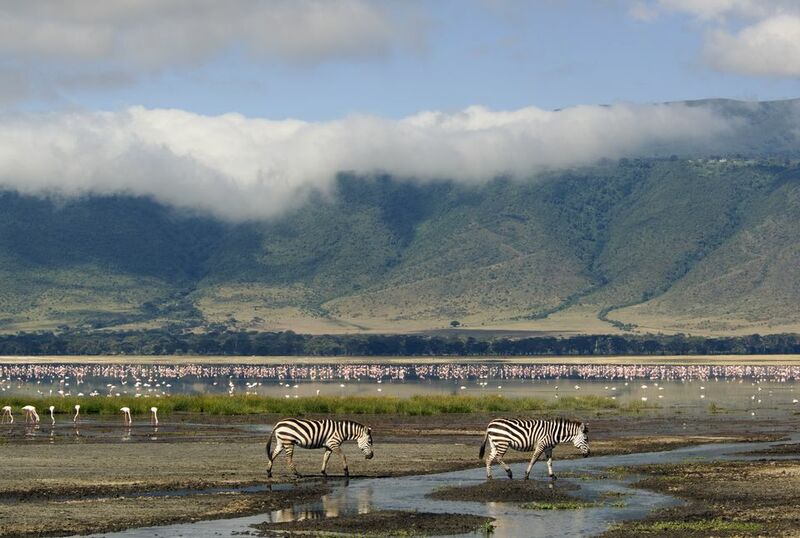 Amboseli lies at the floors of Mount Kilimanjaro. Dinner and overnight at the Camp.